Eliminates odors caused by mold, bacteria, and fungi. THE POWER OF BAKING SODA As dirty air passes through the bag, Arm & Hammer baking soda particles neutralize odor bearing chemicals. The result, clean, odor free air is released into your home. Made with Arm and Hammer Baking Soda Inside . 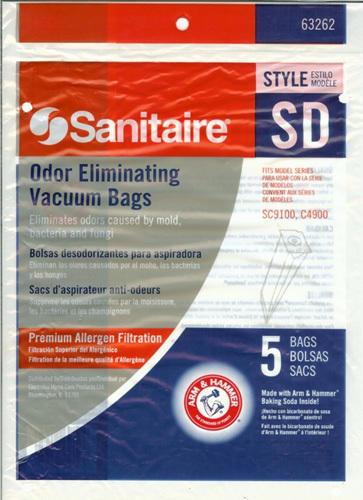 Fits Sanitaire Model Series SC9100 and S4900.